CHARMING & TURN KEY! Nestled on a quiet block in Miami Shores, this adorable Mid Century 3 bedrooms & 2 bathrooms features a beautifully remodeled kitchen with quartz countertops and SS appliances, many impact windows, spacious living & dining areas, master suite with a remodeled bathroom & spacious closet, refinished rich hard wood floors and much more. Dining room opens to a wonderful backyard with a pool which is perfect for entertaining or to have a wonderful afternoon with your family! Property is located on a 12,000 + Sq. Ft. lot with lush landscaping and lots of space. 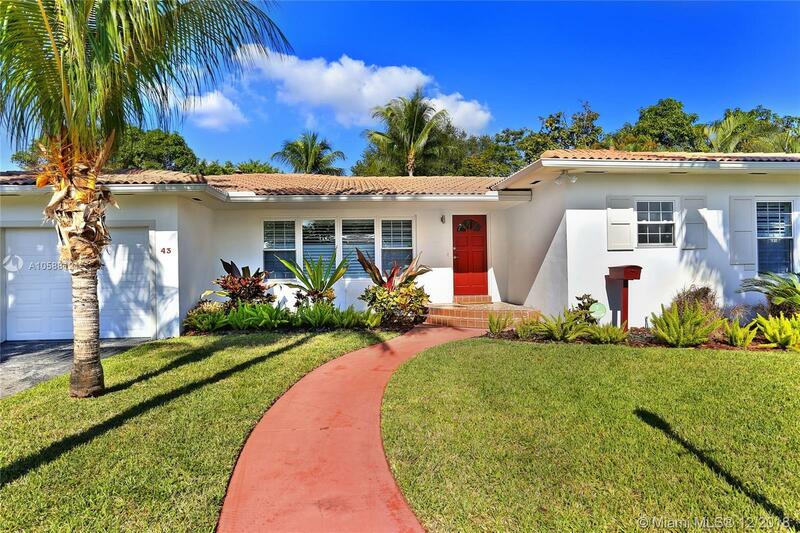 Come enjoy the charm of Miami Shores on this beautiful & cozy piece of heaven! Within walking distance to local shops, restaurants, the theater and much more. Easy to show.